With any visitor or user of our site may be concerned about our use and disclosure of your personal information.  As your privacy is very important to us, and the following information will inform you of the information that we, Jeff Jinks Law, may collect from you, and how it is used. By using our website, www.jeffjinkslaw.com, you are accepting the privacy policies below. We may also collect info about browser for the Internet you are using, operating system or OS, how you were brought to our Website, as well as which of our Web pages you have accessed. Our firm may collect non-personal information, such as an IP Address and domain name. These items such as domain name and IP address reveals nothing personal about yourself other than the IP address from which you have accessed our site. We use the collected information first and foremost for our own internal purposes, such as providing, maintaining, evaluating, and improving our Website and services, providing client support, and executing information requests..
We use technologies, such as cookies, to customize content and advertising, to provide social media features and to analyze traffic to the site. We also share information about your use of our site with our trusted social media, advertising and analytics partners. The definition of a cookie is a piece of data stored on a site visitor’s hard drive to help us improve your access to our site and identify repeat visitors to our site. Cookies have the functionality of enabling us to track and target the interests of our users to enhance the experience on our site. How a cookie is used is in no way linked to any personally identifiable information on our site. Any sensitive information (such as credit card data) on any site not just ours would be information that’s encrypted and transmitted in a secure way. Any site can be verified by looking for a closed lock icon at the bottom of your web browser, or looking for “https” at the beginning of the website of the web page. The only employees who need the information to perform a specific job gain access to information that’s personally identifiable. Our computers/servers in which we store personally identifiable information are kept in a secure environment. While we use encryption to protect sensitive information transmitted online, information that is kept offline is handled in the same way. We will not sell or otherwise provide the information we collect and or send to outside third parties for the purpose of indirect or direct mass email marketing. Please keep the issue in mind that whenever you voluntarily disclose personal information online – for example through e-mail, social media and elsewhere – information can be collected and used by others. In short, if you post personal information online that is accessible to the public, you may receive unsolicited messages from other parties in return. In conclusion, you as a user on any website are solely responsible for creating and maintaining the secrecy of your personal information. Please be careful and responsible whenever you are online. As time-to-time permits, our site may request information via promotions or surveys. Participation in these promotions or surveys is completely voluntary and you may choose to opt in or opt out and thus disclose this information. Information requested may include demographic information (such as zip code, age) and as well as contact information (such as name and shipping address). The contact information will be used to notify promotion winners and survey participants. Survey information will be used for purposes of improving or monitoring the use of this site. Our Website may contain links to other sites. Be aware that we are not and can’t not be responsible for the content or privacy practices of such other sites. We encourage our users to be aware when they leave our site and to read the privacy statements of any other site that collects personally identifiable information. 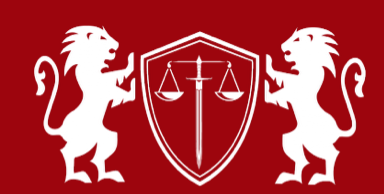 Our Attorneys Know Litigation. Let Us Show You How.